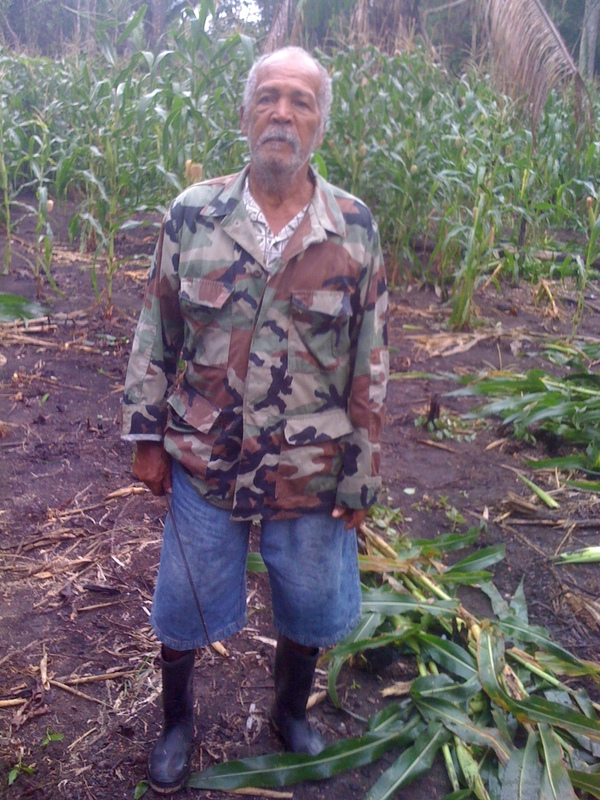 This is a picture of an eighty year old organic farmer of Crooked Tree Village in his corn field. Historically, small organic farming has always been a way of life on the island of Crooked Tree. Villagers traditionally do not use chemicals or pesticides to control insects or weeds; back in the day, my dad used to rely on plot rotation, crop rotation and manually removing weeds by hand. Farmers of the village used to plant corn on a plot the first year with beans, okra, melons and pumpkins in between to enrich the soil and keep weeds and pests at bay with a lot of manual labor in between for coming years. Chemicals and pesticides came at some point from the Government of Belize, but were used only as a last resort. But today family farmers are beginning to go back to the old ways; chemical-free organic corn and vegetables. Organic family farming was always around, but farmers were not aware of how important it was. 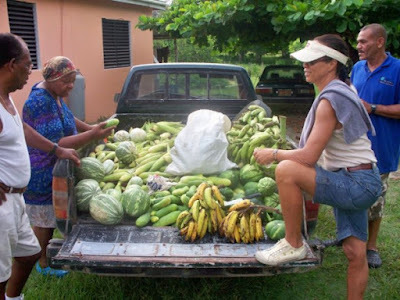 The market for pesticide-free organically-produced foods is catching on quickly; but I am not aware of any national standards for organic food in the Belize District area; at least not in Crooked Tree Village. A couple of years ago I visited a cacao farm in the Toledo District and the cacao farmer told me that his farm is a member of the Toledo Cacao Growers’ Association which supplies fair trade cacao for a UK company-Green and Black ‘s organic chocolate. So far, no agent from the Belize Agriculture Department has visited Crooked Tree Village to educate the farmers on becoming truly certified organic farmers. So proud of Mr. Austin, at his age and still growing his own food. I always say, that education is the key because nowadays most people are not even aware of how the food is grown. So sad because ignorance will not spare anyone of the effects of these poisons that is being used nowadays. Belize Agro Enterprise Ltd (http://www.belizeagroenterprise.com)would be happy to meet and discuss with Organic and non-organic farmers in Crooked Tree the use of Effective Microorganism Technology to improve crop production and pest control organically. EM Technology is a licence Japanese technology using organic base microorganism products produced in Belize and that can revolutionize any agricultural base production. Let us know when we can visit you. No cost involve!